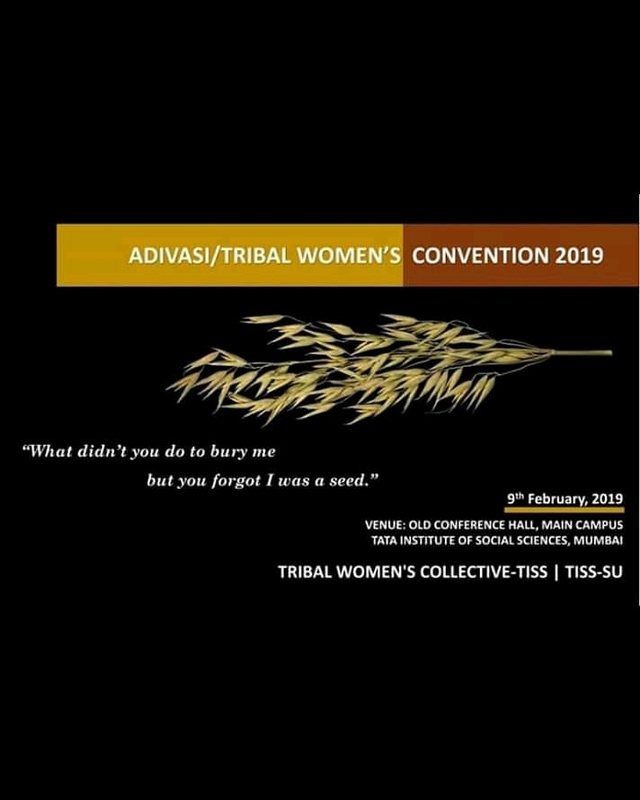 Fourteen Adivasi women came together on stage to celebrate their struggles and victories at the Adivasi/Tribal women’s convention held at Tata Institute of Social Sciences (TISS), Mumbai. The day-long session organised by the Tribal Women’s Collective, TISS, Mumbai, included various panels like ‘Wounded Warriors’ (activists), ‘Zoom from Within’ (art and media), ‘I give you Back’ (academicians and writers), ‘The Undefeated’ (sports) and saw the participation of women achievers from various fields like sports, literature, academia, media etc. Dr. Vasavi Kiro, former member, Jharkhand State Commission for Women pointed out how development has been brought at the cost of displacement. “Development-induced displacement is the biggest topic of the day, but no one is talking about it. Unless we debate on development, the cases happening in Bastar, Dantewada and Jharkhand won’t stop,” she added. The marginalisation of tribes is experienced not only by women from the rural centres but also from the urban centres of India. Growing up in Aarey colony in Mumbai, Sheetal Bhorade faced discrimination as a young Adivasi woman. She asked the audience, “Do you know that there are Adivasis in Mumbai?” Among the 220 different Adivasi padas in Mumbai, Sheetal hails from Aarey Colony which has been at the epicentre of protests against Adivasi evacuation. Sheetal depicts the ongoing deforestation and destruction of Adivasi padas through her paintings in Warli art. Sheetal who learnt the Warli art by observing her father as a child depicts the ongoing deforestation and destruction of adivasi padas through her warli paintings. She uses variety big natural materials like bamboo, tree barks and mushrooms for her paintings. From their artistic expression to the forms of discrimination, the sessions resonated with different facets of resilience by women. Similar experiences of growing up in Kolkata were narrated by Shikha Mandi, the first Santhali female radio jockey from Jhargram, West Bengal. She recalled how growing up in a city made her feel alienated from the Santhali culture and discriminated at school, but taking up her dream job as a radio jockey enabled her to assert her identity. Shikha Mandi hosts her radio show on Radio Milan and has over 40,000 listeners. She recalled how while doing a course in publishing, the invisibilization of Adivasis she witnessed left a lasting impression. She said, “I saw the list of people who came to meet us, I was so disturbed by seeing the invisibility of Adivasis. I wondered if they did not know that we exist, that we too published books. That’s when I decided, I will publish books of Adivasis, and I will do it in English. From teachers to academician to publishers, Adivasi women’s’ foray into education also meant giving back to the community. Ujwala Bogamiji is a teacher who has been translating Marathi book in Madia Gondi language, She said, “When the Adivasi children speak in their own language, they are very happy. This is why we are working to bring more school syllabus in Adivasi languages.” Starting off in 2011, Adivaani has published a host of books including children’s books depicting Santhali culture through illustrations. Adivasi women academicians Dr. Rimi Tadu, Centre for North East Studies and Policy Research at Jamia Milia Islamia University, New Delhi and Dr. Sonajharia Minz, School of Computer and Systems Science JNU took centre stage and spoke about breaking the dominant discourses formulated around Adivasis. 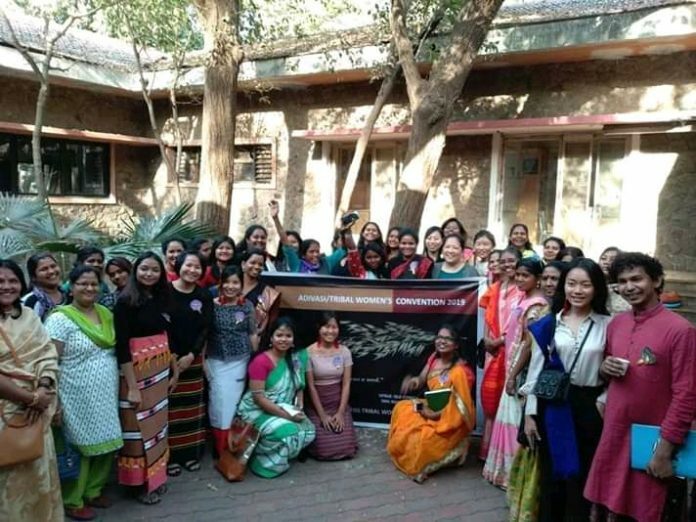 Dr. Minz, whose research and teaching includes fields like Mathematics and Big Data, is one of the first three women professors from an Adivasi background to teach in JNU. 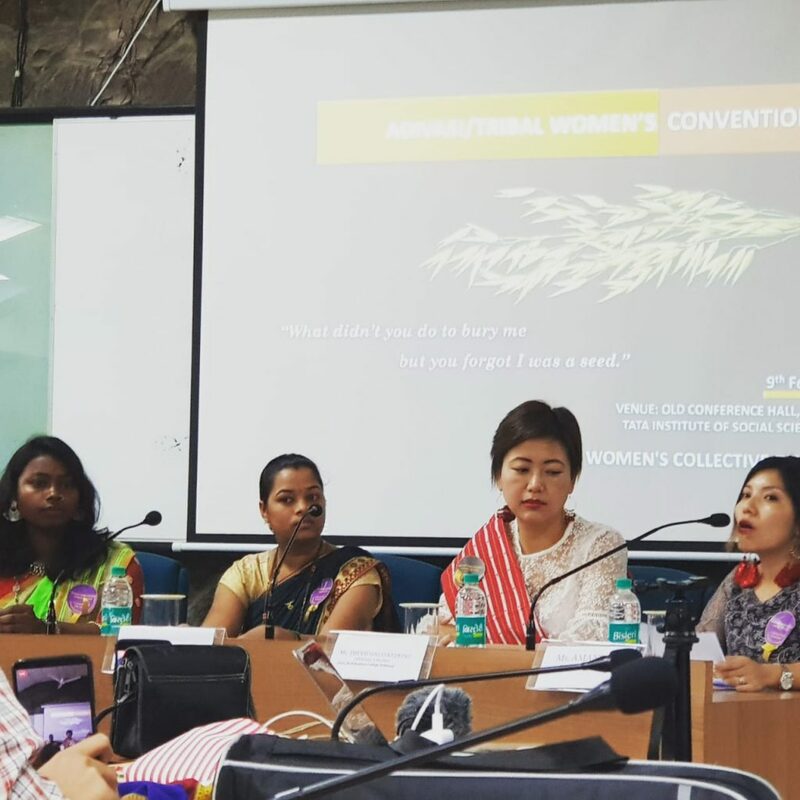 Not only are Adivasi women making a mark in the fields of academia and literature, but they have also taken social media by storm. Theyiesinuo Keditsu from Kohima, Nagaland who runs her Instagram page @mekhalamama, is documenting the Mehaka the traditional Naga women’s attire.